In most cases the company had been aware of the issues for some time, says Baskin. And he says that you probably already know why your brand might be the subject of the reputation crisis in the future. Reputation is made up of many things – how your stakeholders perceive you, your brand, your products, your executives and employees and your actions. To a large degree it’s a measure of trust. Back in the 1980s Jan Carlzon of Scandinavian Airlines coined the phrase “A Moment of Truth” referring to any interaction a member of the public has with your brand. It can be someone driving down the road and being cut off by one of your trucks. It can be an untrained receptionist ignoring someone looking for information. Every interaction affects your image and your reputation. Almost 8 in 10 American adults read online consumer reviews for product and services before making a purchase, with this figure relatively constant across generations, according to a survey from YouGov. Consumers are forming opinions faster now than they were 12 to 24 months ago. They need to read fewer reviews before they feel able to form an opinion about a business and decide whether or not it’s trustworthy, according to another study from BrightLocal. According to the 2014 Edelman Trust Barometer, privately-owned, small to medium-sized businesses have the edge when it comes to trust. They’re seen as more entrepreneurial, innovative and more responsive to customers’ needs. 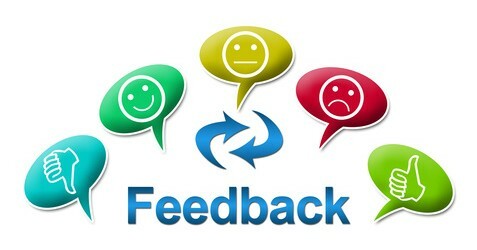 Take advantage of this perception in 2015 and become even more connected and responsive – make managing online reviews a priority and put the feedback loop in place and use it to innovate and improve, based on your customers’ comments. Keep in mind that since 2009 there has been a sharp rise in trust for “a person just like me’ and ‘a regular employee” rather than the CEO or other executives of the business.